BabySPA atrium roadshow is here from 6 to 12 Aug 18. 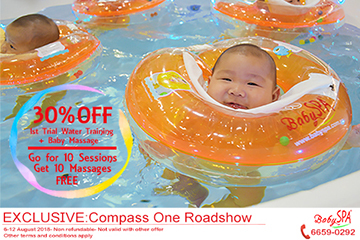 Get 30% OFF for bundle 1st Trial Water Training + Baby Massage at $52.50 (U.P. $75). and go for 10 sessions to get FREE 10 Baby Massages. See you there!